Millburn, New Jersey's Paper Mill Playhouse has announced an exciting lineup of productions for its 2019-2020 season. Filling out the slate of shows is the newly scheduled Andrew Lloyd Webber revue Unmasked, tuners based on the life of Judy Garland and the singer-songwriter Dion, as well as a pair of revivals. Kicking off the season will be the new musical Chasing Rainbows: The Road to Oz (September 26-October 27, 2019) based on the life of stage-and-screen legend Judy Garland. Chronicling her early career from vaudeville to her rise at MGM, where she won the role of Dorothy in The Wizard of Oz, Chasing Rainbows features legendary songs, including "Over the Rainbow," "You Made Me Love You" and "Everybody Sing." Conceived and created by Tina Marie Casamento, with direction and choreography by Denis Jones, the musical features a book by Marc Acito and additional music by David Libby. Next up will be a new staging of Rodgers + Hammerstein's Cinderella (November 20-December 29, 2019), with music by Rodgers, lyrics by Hammerstein II and the Tony-nominated revised book of Douglas Carter Beane. The musical showcases Rodgers and Hammerstein's beloved tunes "In My Own Little Corner," "Impossible/It’s Possible" and "Ten Minutes Ago," as well as some new characters and surprising twists. Paper Mill's Producing Artistic Director Mark S. Hoebee will direct. 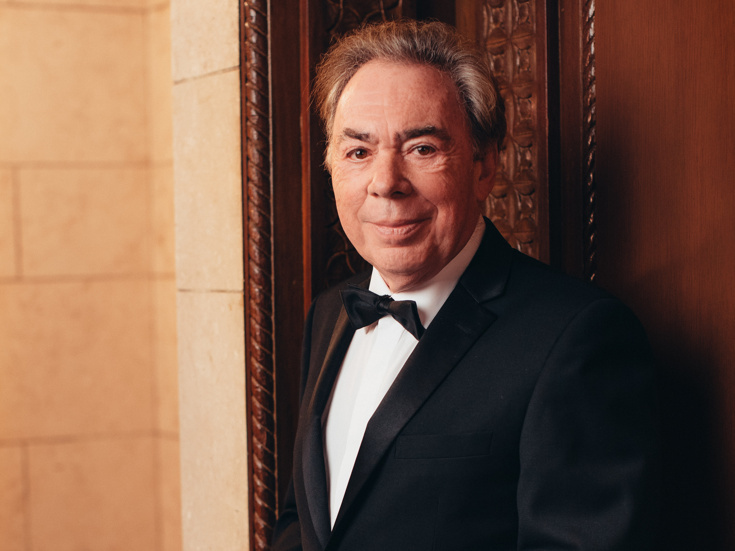 Next on Paper Mill's docket will be the highly anticipated Andrew Lloyd Webber revue Unmasked (January 30, 2019-March 1, 2020), a portrait of the musical-theater icon's extensive body of work featuring unexpected interpretations of his best-loved songs and some new material specially written for the production. Featuring a book by Richard Curtis, the musical will be directed by Laurence Connor (School of Rock). Unmasked was originally announced as part of Paper Mill's 2018-2019 season under the direction of John Doyle; that production was later postponed. Paper Mill will next present a new staging of the musical comedy Sister Act (April 1-April 26, 2020), the Broadway hit based on the fan-favorite film. The plot is set in motion when disco diva Deloris Van Cartier witnesses a murder and must go into hiding in a convent—where she clashes, hilariously, with cloistered life. Deloris inspires the sisters with her soulful style, but the church choir's newfound fame attracts the attention of the bad guys. Sister Act features a book by Cheri Steinkellner and Bill Steinkellner, additional material by Douglas Carter Beane and an original score by Alan Menken and Glenn Slater. Closing out the season will be the world premiere pre-Broadway run of the musical The Wanderer (May 28-June 28, 2020), based on the life of singer-songwriter Dion. The Wanderer is described as the musical journey of Dion DiMucci, a troubled young man turned teenage heartthrob and rock-and-roll icon told in intimate and no-holds-barred detail. Dion's lifelong battle with addiction shed a stark light on the darker side of fame and success. The new musical tackles both subjects head-on, set to the iconic sound of an incomparable era in American music. Dion's hit songs include "Runaround Sue," "I Wonder Why," "A Teenager in Love" and "The Wanderer." Among the acclaimed alumni works of Paper Mill Playhouse are the Broadway tuners A Bronx Tale, Bandstand and Newsies. Casting and additional creative team members for the 2019-2020 Paper Mill season will be announced at a later date.